This article covers how to fit a roof windows, and how to fix common problems with leaking roof windows. The videos two first videos below show the fitting of Velux windows into both common interlocking concrete tiles and slate. The last video shows a Keylite roof window fitted into plain tiles. 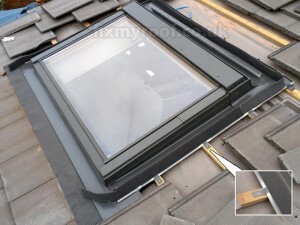 How to fit a Velux roof window into a slate roof. 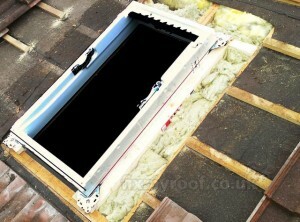 How to fit a Velux into an interlocking tiled roof. Firstly you’re going to find fitting a Velux is very similar to fitting any other brand of roof window apart from a few minor differences in trims and flashings. 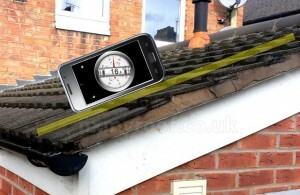 Once you’ve fitted one it’s not much of a leap to almost all other brands. Very important if you’re putting roof windows into shallow sloping roofs, I’ve had to fix a lot roofs windows because of the wrong roof angle, even on new planning approved extensions. Firstly your roof covering i.e. 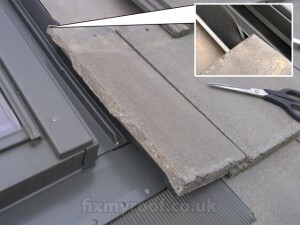 Tiles or Slates will change you flashing set and this will change your minimum recommended angle for the window. Once upon a time I had to calculate the gradient, then sit in the cab of my van converting gradient into degrees so I could work out the angles of flashings, windows and the roof tile minimum angle specifications. It was a pain, these days I use an App on my smart phone, I urge you to do the same. How to measure the angle of a roof – Place a piece of timber over the tiles and measure the roof angle, the purpose of the timber (pictured) is to measure the angle of the roof as a whole and not just as an individual tile. Notice the angle of the tiles is less than that of the roof. For roof windows in low pitched roofs, say 10 to 20 degrees, you may want to consider the Forticrete low pitched roof window system instead as it is specially designed not to leak in shallow sloped roofs. If you choose to put a Velux or any other roof window into a low pitched roof below 15 degrees it becomes a serious risk. The shallower the slope of the roof, the slower the water runs away, and the more prone to the wind blowing rain back underneath the tiles or flashings. Having said that It can be done but you are going to have to be extra careful. Please read on for notes about roofing membranes and flashing tips. If you are struggling with leaks or pitch with an existing EDP flashing on Plain Tiles you may consider using the EDZ flashing instead. Before the use of the specialised EDP flashing, this would have been the only option and is still used today by some window manufacturers as a ‘ universal flashing ‘- This is shown in the video. This may involve climbing inside a roof or taking off the tiles, felt or membrane to make sure there are no pipes, wires, purlins, internal walls or other game changing obstructions in the path of your roof window. External obstructions could be Valleys, central heating vents or the ridge line. 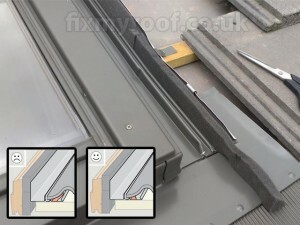 Think it out, remember it’s not just the physical size of the external roof window frame but also the flashing set. 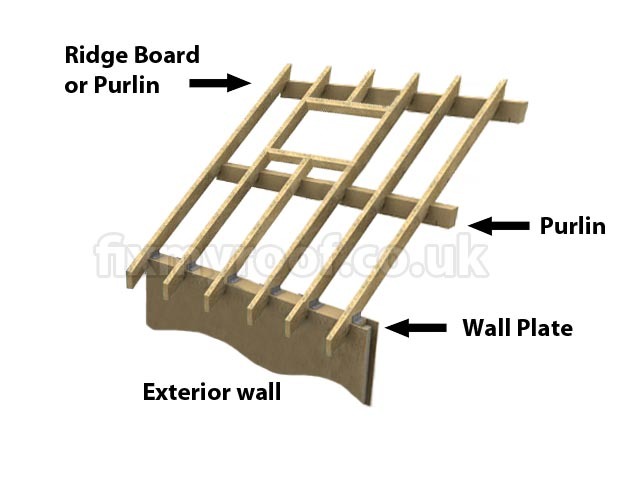 Framing a roof window – If your roof window fits between existing rafters or truss work it can be just a simple job of fitting the window to the existing woodwork or adding some timber framework to take plasterboard at a later stage. As pictured above in middle and right window, the best and easiest way is to consider fitting narrow roof windows that would fit between the roof rafters without the need for any cutting. Obviously if you’re cutting into roof timbers you are weakening the structure of your roof so you are going to have to make sure that the roof structure remains strong. If you have notified the planning department, a planning officer will probably come down to advise you. 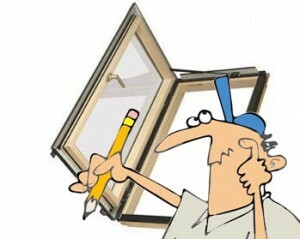 I will try to take you through some of the common methods, but as you can understand one size doesn’t fit all, every roof, roof window, location, planners specification or instructions will be different. If in any doubt seek professional advice don’t just start cutting. By far the most common type of roof for installation of roof windows as this type of construction new or old lends itself naturally to conversion and alteration. Please keep in mind every roof has been calculated for the stresses of load bearing, If you cut out rafters you can adversely affect the structural integrity of your roof. If you are unskilled or unsure about what you are doing seek advice from a professional builder, planning control or a structural engineer. 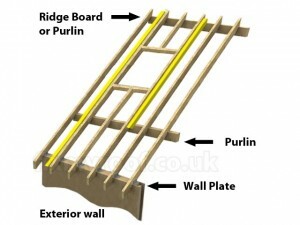 A Traditional Roof Construction – With Rafters and Purlins. (pic1) – As you can see in this situation, the roof window and roof itself are very well supported by the purlin below and the ridge board above, so framing the window is easy and almost no strength is lost. 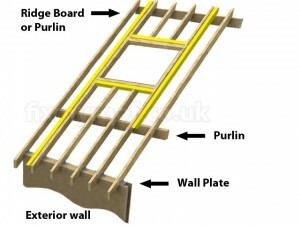 A Traditional Roof Construction – With Rafters and Purlins. 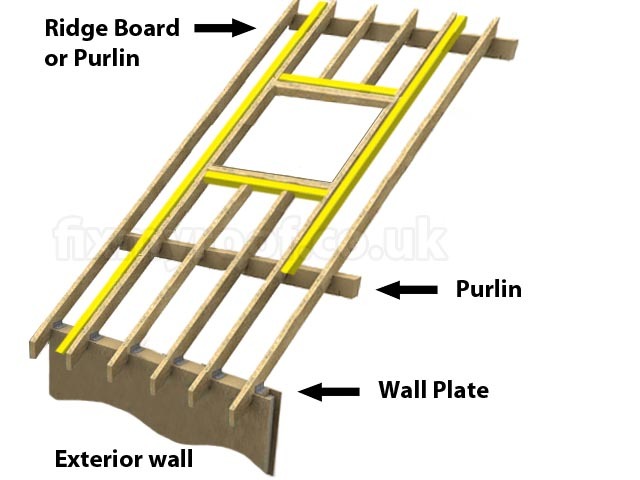 (pic2) – Here though there is significant distance between the Purlin and the Ridge board so it could be strengthened by doubling up the rafters, either in the entire length or just from the Ridge to the Purlin. A Traditional Roof Construction – With Rafters and Purlins. (pic3) – A large roof window may require bigger timber framework or doubling up at the top and bottom of the window. This is the most common type of roof construction these days but probably the least likely to be altered due to the large scale of professional work involved in making a trussed roof habitable. Normally the simple installation of narrow roof windows are fitted inside the existing truss widths to provide additional light to lofts spaces. Take care when cutting or manipulating old felts and membranes as they can tear and rip quite easily. Having said that, the odd tear isn’t always a disaster if you concentrate on getting the roof tiles or slates correct. The roof is the primary and most important waterproofer not the felt, It’s true with roofing in general and true with roof windows also. 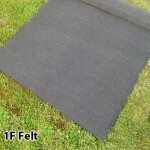 Pictured far left – 1F Under Slaters Felt, Under Tilers Felt or Under Sarking Felt. 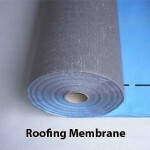 Pictured immediate left – Roofing membrane or breathable membrane. 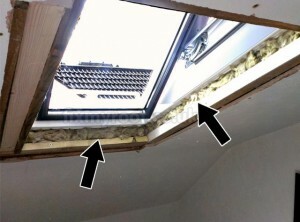 When cutting a hole in your membrane or felt try to cut it about 75mm (2 – 3″) smaller than the roof window frame. 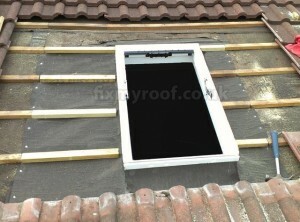 This way its easier to make it watertight when fitting the new window into the roof. Quite often then it’s a simple matter of slipping a bit of extra felt under and sealing any small joins with the black Butyl often supplied with the window kit. 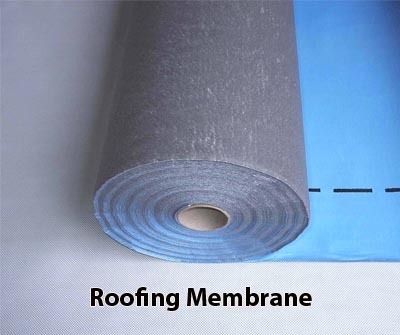 Membranes are very popular these days because they are light, tough and breathable, Ideal for warm roof specifications too. Unfortunately they are also prone to leaking if the roof is not watertight. I have yet to see one that doesn’t leak when sustained water contact is present and this is a real problem if you combine a shallow pitched roof and a roof window where It may be called upon more often than normal. The problem appears to be that breathable does not equal waterproof in the long term, and from what I have experienced It is not just true of the cheaper brands. Roofing Membrane Leak – Bleed through of water from the top of the membrane to the underneath. Sustained contact with rain will probably result in a leak, If you’re using it make sure your flashings are spot on. Obviously if it’s a brand new build you will be using the specified method on the plans, i.e. Warm roof, insulated collar…e.t.c. there’s a whole host of options here. If however you’re installing into an already insulated roof my preferred method is to match the existing. For instance if it’s 1F felt and fibreglass insulation that’s what I put back, if you have framed your window with timber don’t forget to slip the insulation anywhere there is a gap like between the window frame and roof timbers. External insulation – A white framed Velux sitting inside new framework and insulated with fibreglass insulation to match the existing spec. 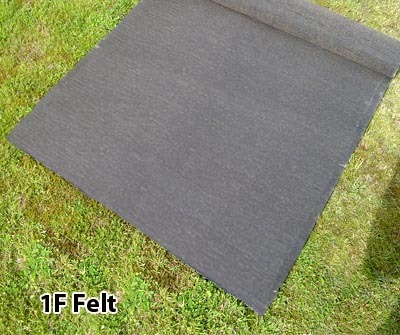 External 1F Felt – New 1F is replaced around the roof window underneath the existing and joined onto the roof joists. Internal Insulation details – Do not forget to Insulate any gaps inside also otherwise you risk cold spots and possible condensation. The Flashing set people seem to have the most trouble with and the one I seem to repair / replace most is actually one of the the easiest to install. In Velux this would be the EDZ or EDW flashing set, sometimes called the ‘ universal flashing ‘ with other window manufacturers because of the large array of tiles it can support. 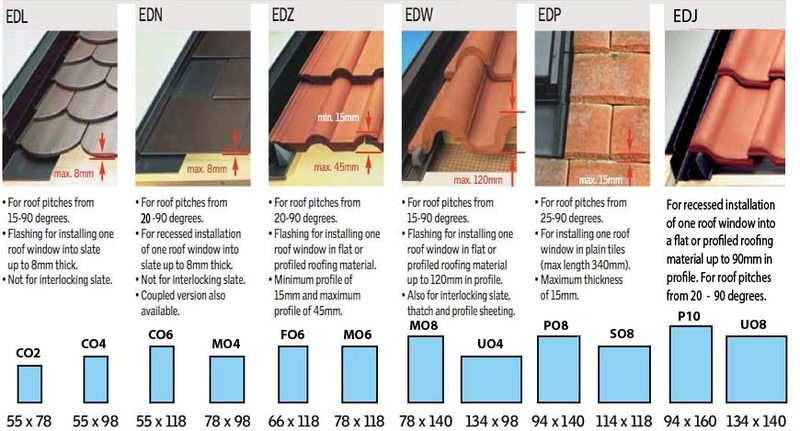 In one from or another it has been around for many many years now and I have never had a leak form one as yet, even in plain tiles that now have their own flashings in most cases. 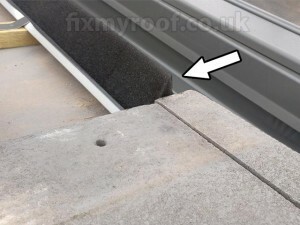 If fitted correctly it can support roof angles from 15 – 20 Degrees, so I will attempt to show you the right way to install it and what people get wrong. Firstly the wrong… as installed by a builder who did a brilliant job of the whole kitchen extension except the shallow pitched roof window, in this case it’s a Keylite and the undersarking is breathable membrane. How to repair leaking Velux windows, leaking roof windows in general and common mistakes in leaking window flashings on skylights. White Arrows – Crushed and distorted foam leaves gaps, and bridges the flashings secondary waterproofing upturn. Black Arrows – Secondary means of waterproofing hammered flat allowing the water to ride over the top. Yellow Arrows – Flashings Installed at the wrong height, Keylite even have a sticker to mark it. Pictured below is how to cut the Velux flashing kit and foam to make it watertight, whether you are installing a window flashing for the first time or fixing a leaking roof Velux window. Click any picture to enlarge. 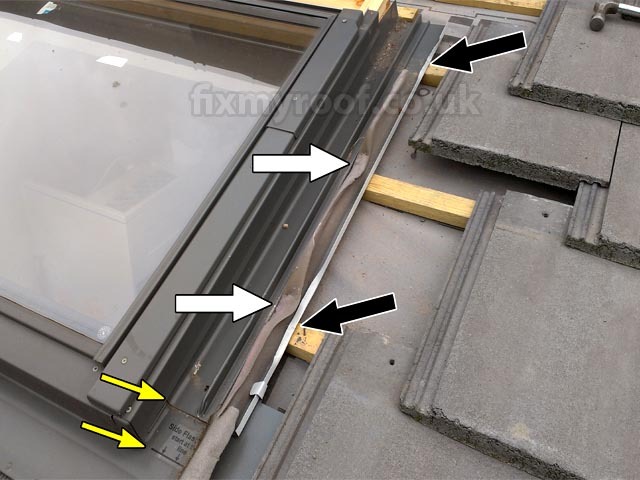 How to fix a roof window – The roof window remains but we have installed a brand new flashing kit for the window, two sides, a top and the bottom. Clips are now fixed to hold the flashing in place, sometimes flattening these a little with a hammer where the tiles may touch will allow the roof tiles to sit better. Do not hammer them flat though. Tiling around window flashings – Place a roof tile onto the foam, you can see the foam is so large it kicks the tile into the air. Take note of how much foam to cut away, when you press the tile flat, you’re looking for a gentle pressure from the foam underneath. You can also mark the top cut at the same time, cut nice and tight to the top of the tile to keep a gentle pressure on the foam and Tile. 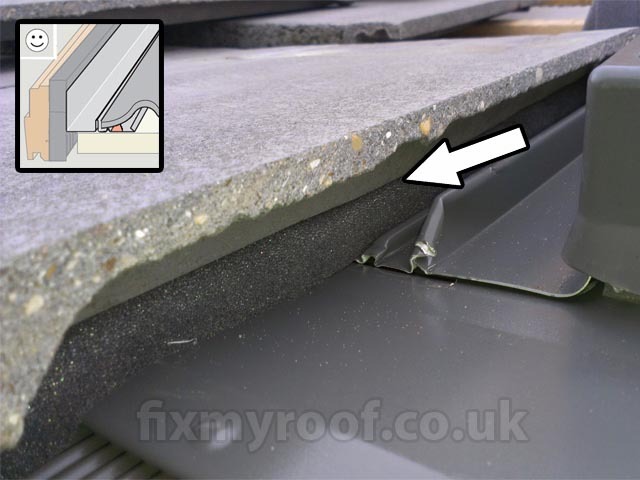 Foam flashings – Cutting the foam around a roof window flashing – Here is the cut foam and inset graphics to show the correct fitting of the foam to the tile. Fitting tiles to foam flashing – See how the foam upstand squeezes against the top of the tile and pokes up proud ready to press against the bottom of the next tile to go on. 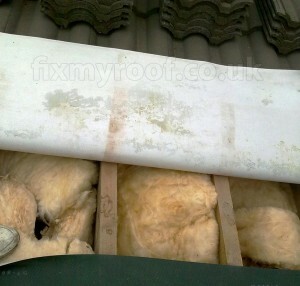 Leak free flashings – Pictured is the correct amount of squeeze onto the foam up stand. Capillary action should take away any water running down the face, and in the event that any water does make it inside, the secondary waterproofing aluminium upstand should save the day.